A century ago, back in 1911, the first film by a Hollywood-based studio, Nestor Motion Picture Company, was produced. However, Biograph, based in New York, is credited with actually filming the first movie in Hollywood when they sent D.W. Griffith west in 1910 and the director found his way to the then-small village and filmed the movie In Old California. Those events marked the time when a flood of companies started relocating from the New York area, the then-predominant locale for the youthful movie trade, and by 1915 the silver screen king would be the Los Angeles basin. 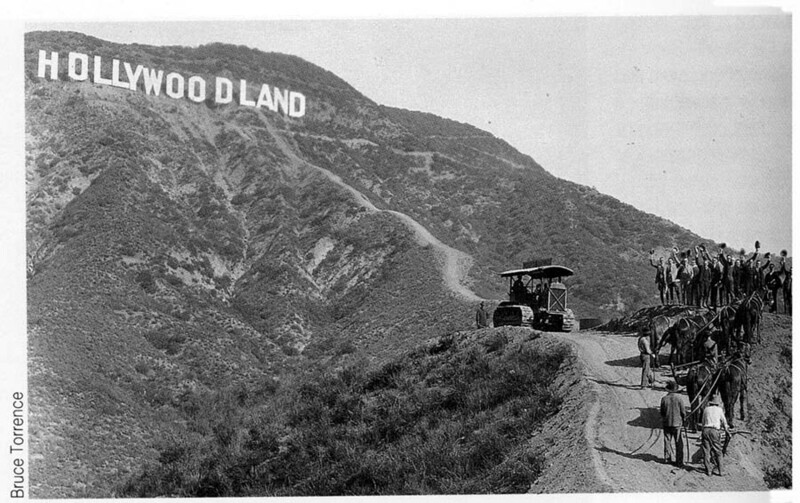 By 1920, with both major and minor film companies and studios boasting a Hollywood address, the city had become known around the world as the film industry capital of the United States. Sid Grauman and his partners (Mary Pickford, Douglas Fairbanks and Howard Schenck) opened Grauman’s Chinese Theater in 1927 and, from that date, the venue has served as one of the most popular red carpet premier event locations for many movies. 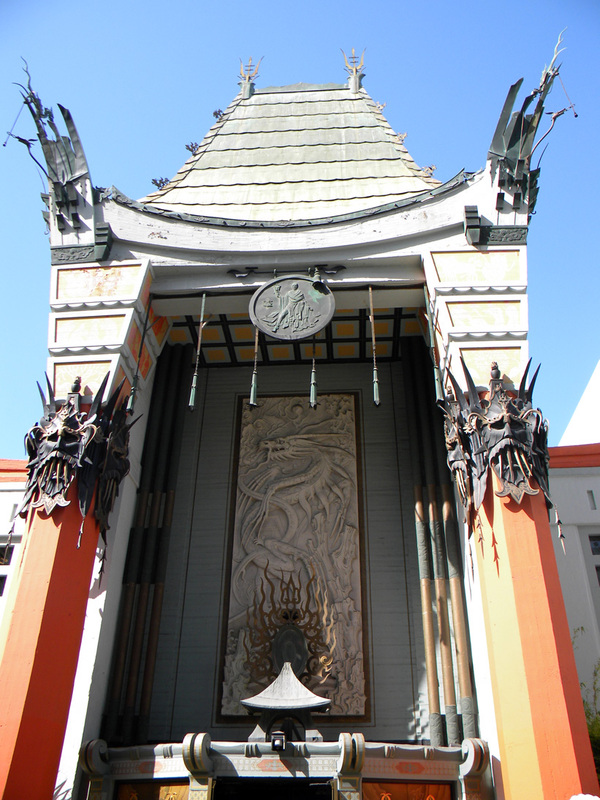 Pickford and Fairbanks were two of the first three celebrities to place their prints in concrete at the theater. Today there are approximately 200. During the years 1944-1946 the Academy Awards were held at the theater. The first Academy Awards presentations were held in 1929, at the Hollywood Roosevelt Hotel, named after Theodore Roosevelt, which also opened in 1927 and also named as two partners Pickford and Fairbanks. Due to the seating restrictions at the hotel that was the only year the awards were held there. The Roosevelt was fully renovated in 2005 and is operational today. 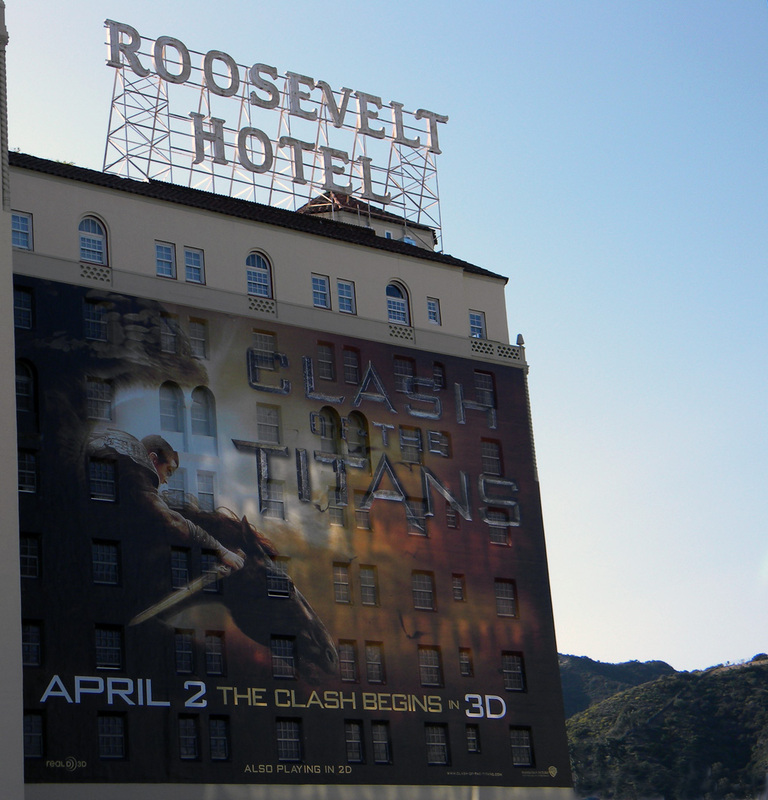 As is the way of marketing, however, one use of the hotel (and other multi-story buildings seemingly everywhere) is as a giant billboard. In 1947 the first commercial television station in the western states began broadcasting from Tinseltown. During the 1950’s music recording offices and studios were coming to Hollywood with Capitol Records locating on Vine, north of Hollywood Blvd., in 1956. 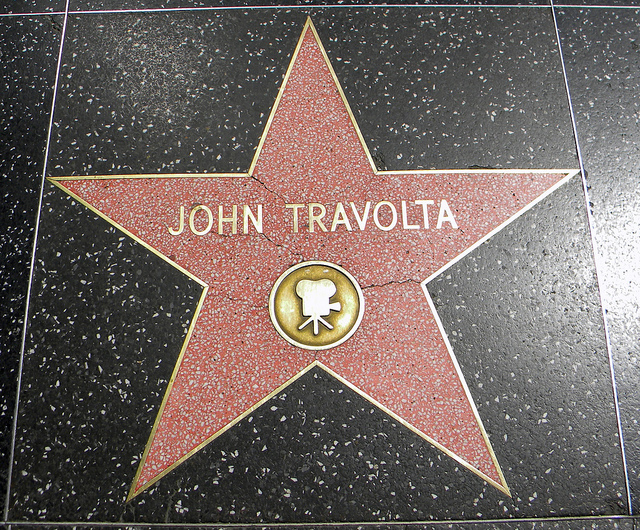 The Hollywood Walk of Fame, a tribute to artists and other significant contributors within the entertainment industry, was created in 1958, with the groundbreaking two years later honoring director Stanley Kramer with the first of what is now more than 2,400 permanent stars. Following decades of being rundown, Hollywood began a restoration project that included the Kodak Theater, which opened in 2001, and hosts the annual Academy Awards. 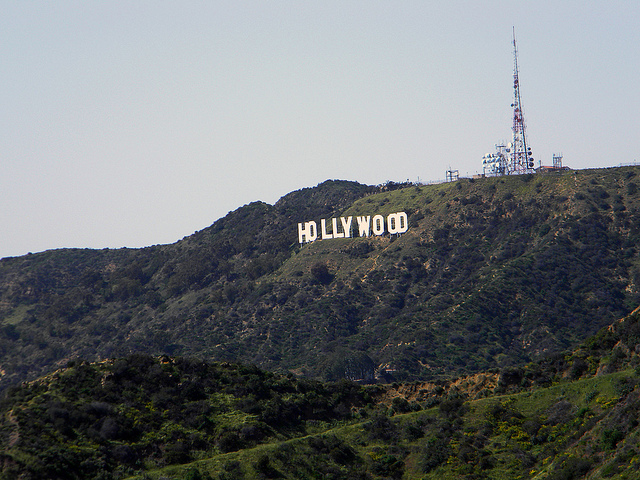 Though today there are no major studios located in Hollywood there remain auxiliary industries, such as editing, effects, props, post-production and lighting, as well as the backlot of Paramount Studios. 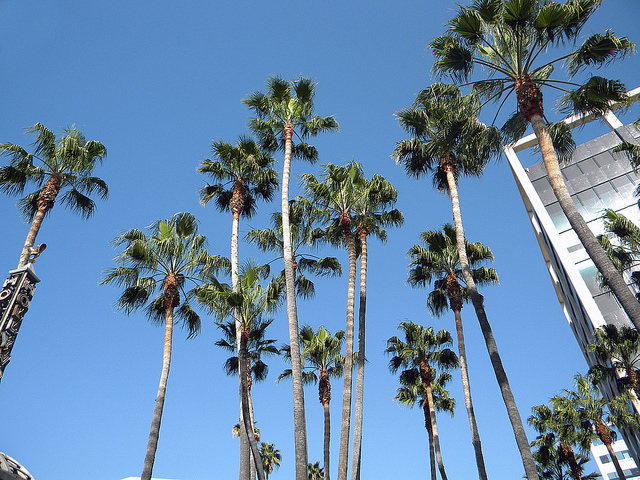 The movie life, indeed, carries on, in much the same way as does life for the non-native palm trees that line many streets in Hollywood, as well as other cities in California. Little did Thomas Edison know, when he first conceived the Kinetoscope in 1888, how moving pictures would forever change the world and that a small village in California, named interestingly enough after Hollywood, Florida, would become known as the film capital of the world.